We’ve had fun reading the Five Little Pumpkins by Dan Yaccarino this week. 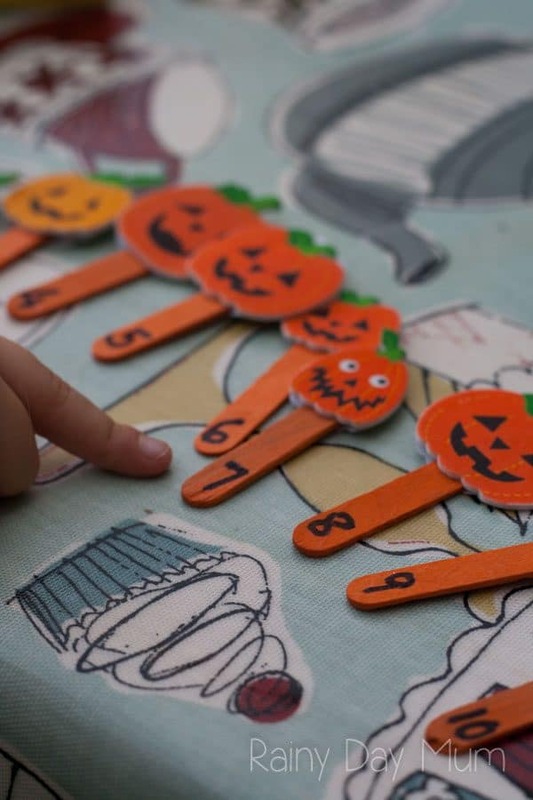 And wanted to create a hands-on pumpkin activity focusing more on number recognition. 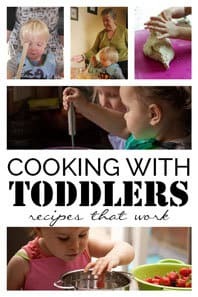 This book is great for working on counting backwards the start of working on subtraction as well as having fun language. 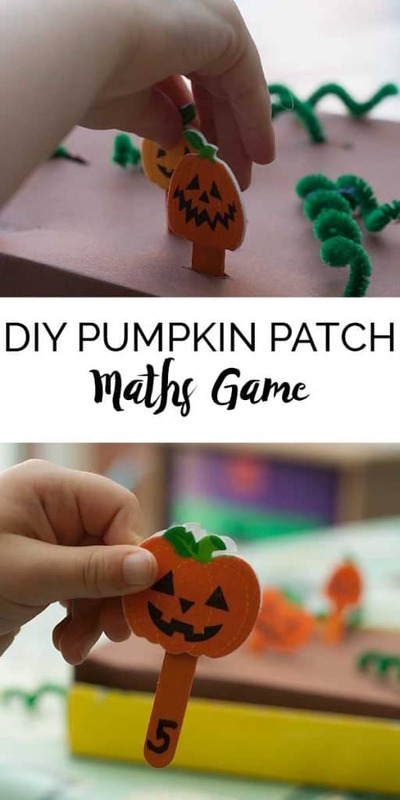 We’ve had fun with this book and rhyme before creating our own book combining number and literacy but this time, we wanted to get more hands-on and so we created our own pumpkin patch maths game. 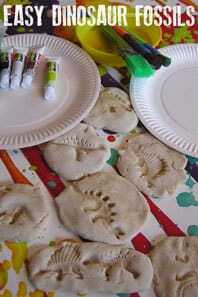 We have included links to the materials we used to create this activity. 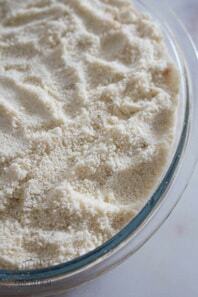 If you buy via the links we may earn a small commission. 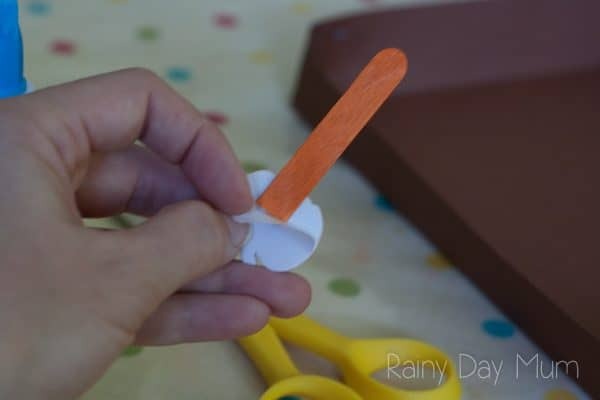 Draw around your box lid onto your piece of cardstock making sure that it is centred and there is an edge all the way around. Cut out 10 slots that will be where your pumpkins will be planted within the rectangle you have just drawn. 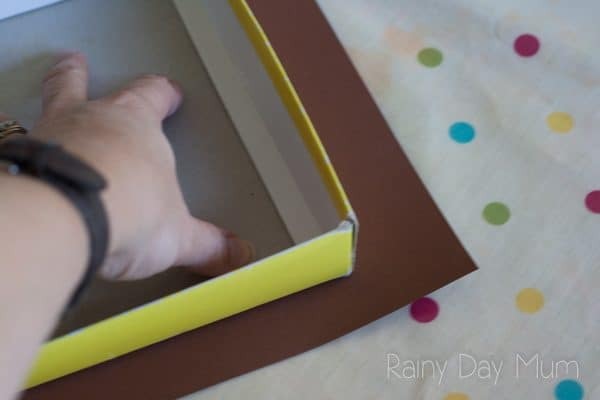 Cut from the corner of the cardstock to corner of the box lid outline. 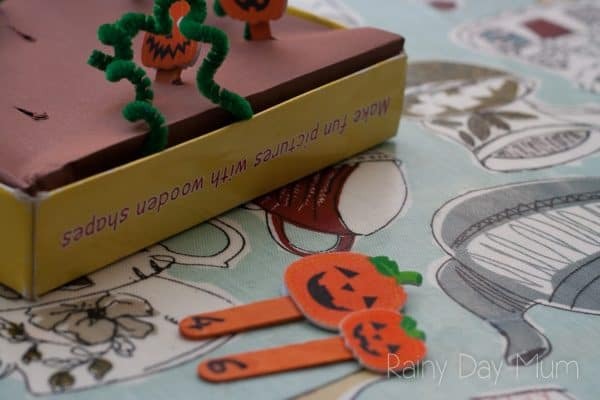 Glue the corners together to form a box lid this will form the ground of your pumpkin patch. 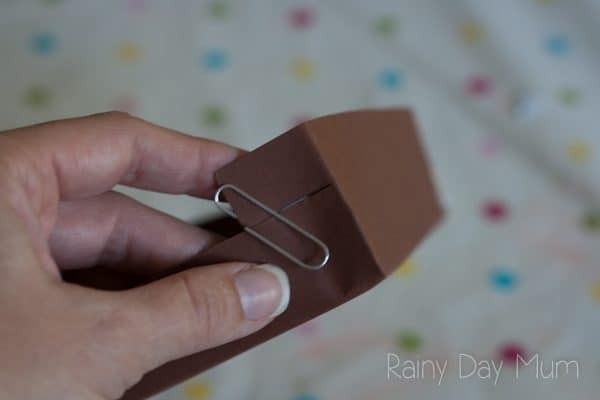 A top tip is to use a paper clip to keep the corners together as the glue dries. 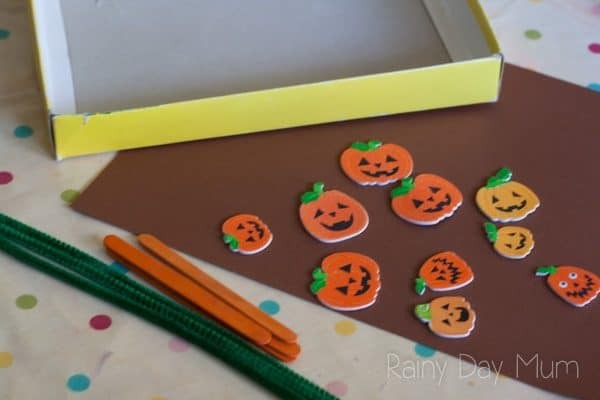 Take 5 orange craft sticks and cut each in half. Onto the top peel the back off of the sticks half way and attach the craft stick to the back of the pumpkin then put back the sticker back. 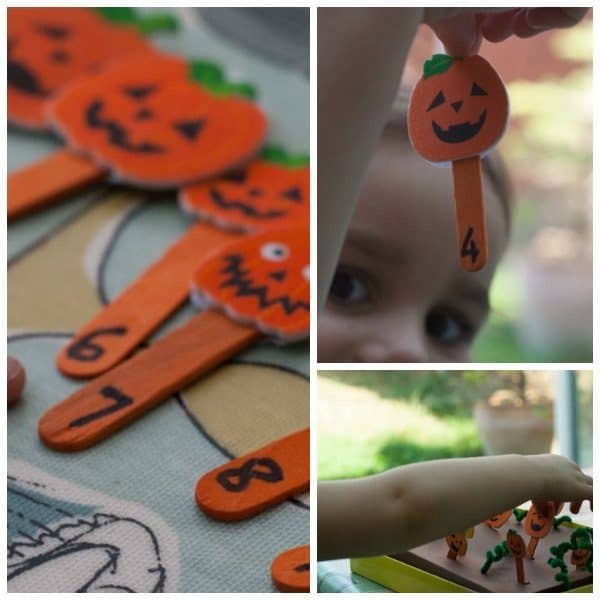 On the bottom of each craft stick write the numbers in marker pen from 1 to 10. 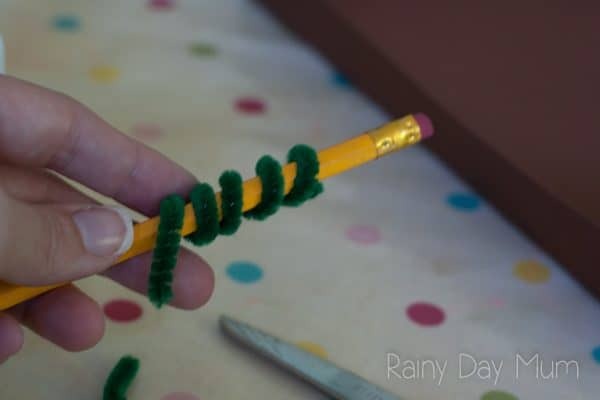 Create some vines for your pumpkin patch by wrapping the green pipe cleaner/chenille stick around a pen or pencil. 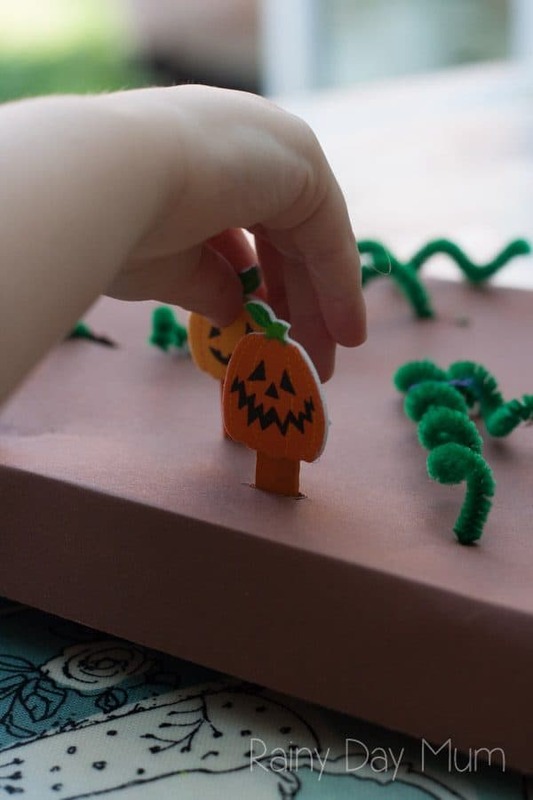 Randomly push the pumpkins into the slots you have created in the cardstock and add in some vines. 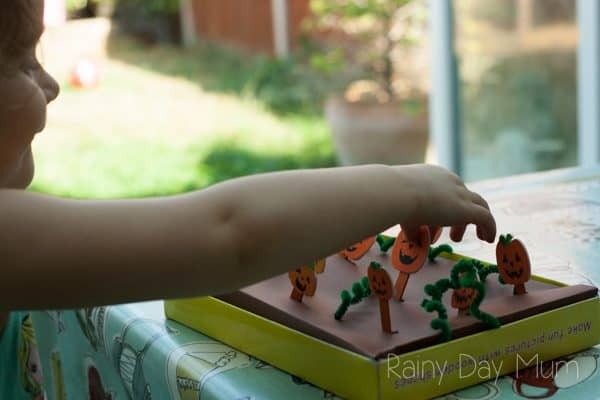 We used to the pumpkin patch to work on number recognition but check out the ideas for some extension activities that you could use the pumpkin patch for. 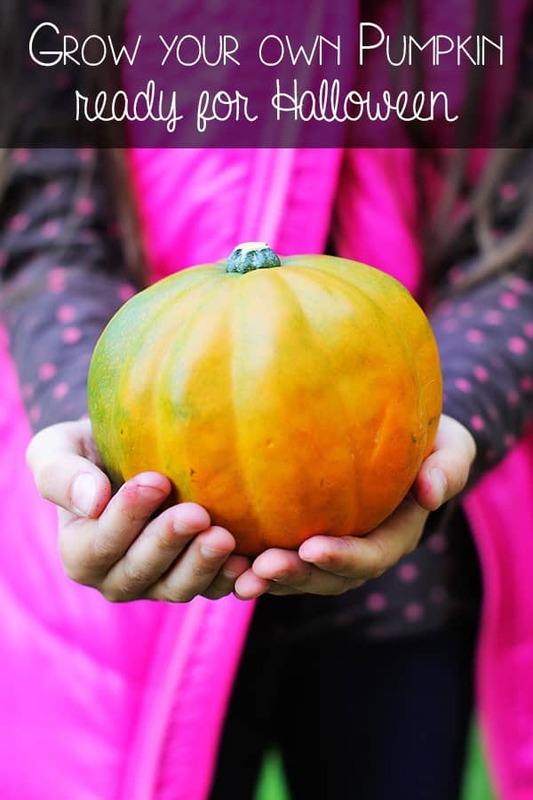 Ask your child to pick a pumpkin from the patch. 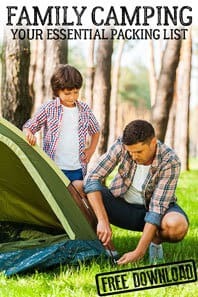 As they pull it out get them to read the number on the bottom of the stick – if this is the first time with number recognition then help with by saying the number as they pull it out. Place it to the side and then pull out another number. Read the number out and then help them to order the number with the stick. We did this by counting from 1 to 10 emphasising the number by saying it louder and pointing to the pumpkin that we had already picked. Repeat until all of the pumpkins have been picked. 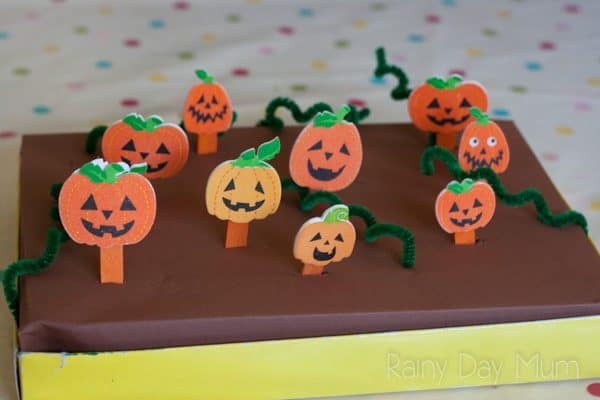 Then replant them into the pumpkin patch randomly and repeat. 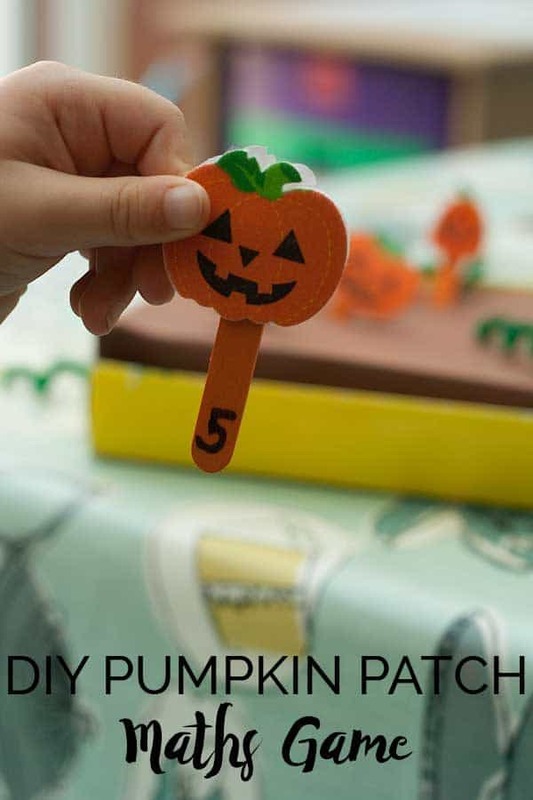 As well as number recognition here are a few more ideas that you could use the pumpkin patch for. One more and one less. 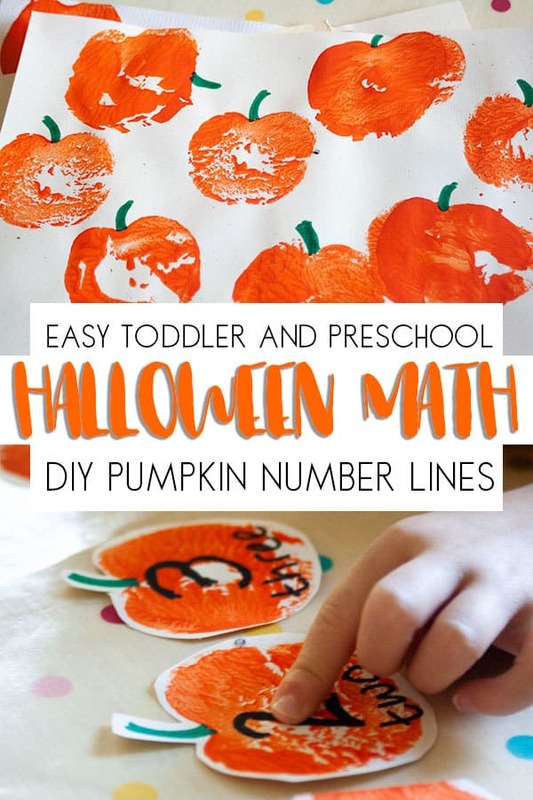 Pick a pumpkin from the pumpkin patch and then ask your child for the number one more or one less than the number they have. Counting on. 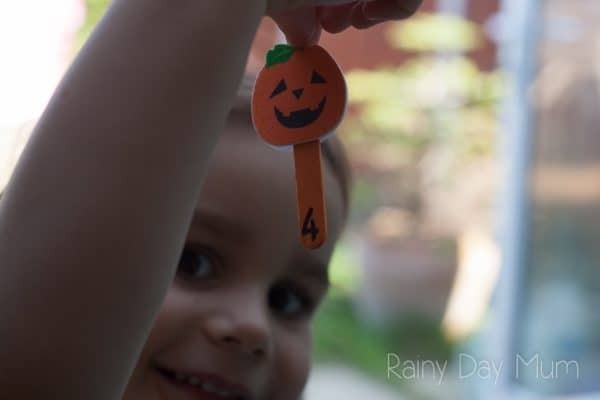 Pick a pumpkin from the pumpkin patch and then another count on the second pumpkin’s number to find the total. Addition. Similar to above but working on straight addition – also can be used for subtraction. 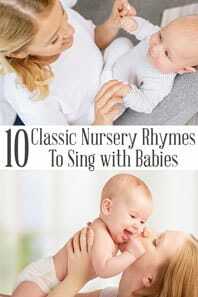 Number bonds to 10. 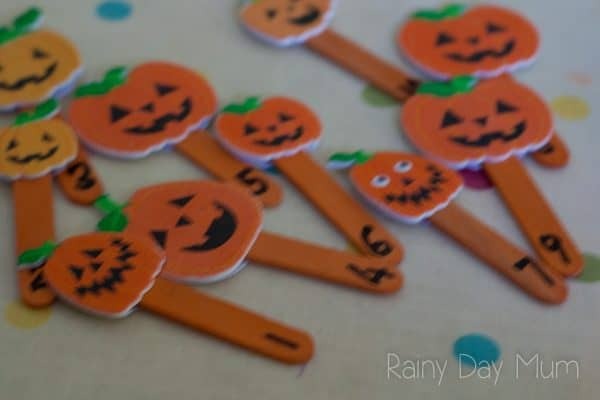 Pick a pumpkin and read the number work out the number that will be needed to make 10 using number bond facts. 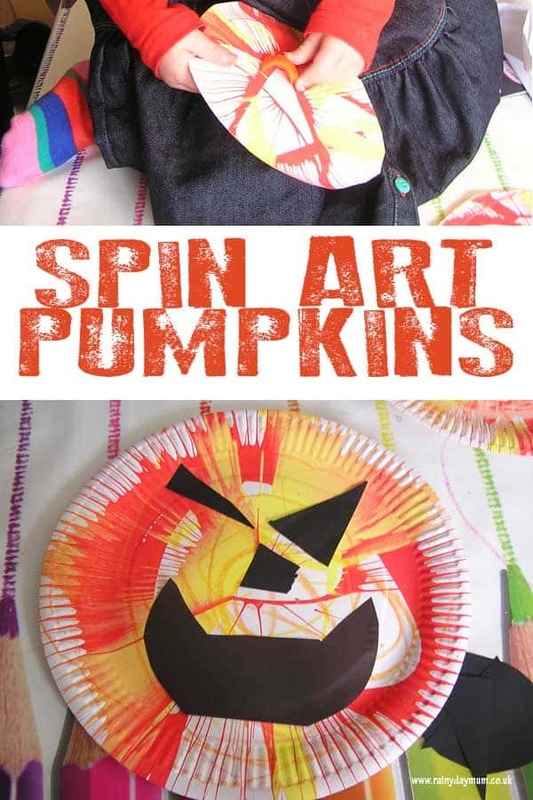 ‘Tis the season for pumpkins so check out these pumpkin activities and crafts from our archives to use with this activity as well. 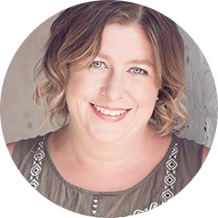 The Virtual Book Club for Kids is a Weekly Activity Based Book Club for Preschoolers that we have run on Rainy Day Mum and the associated Virtual Book Club for Kids website since 2012. 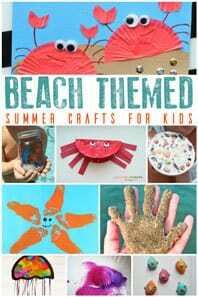 Featuring popular themes and classic picture books this is a great way to have fun, read, play, learn and create with your preschoolers and encourage a real love of books. 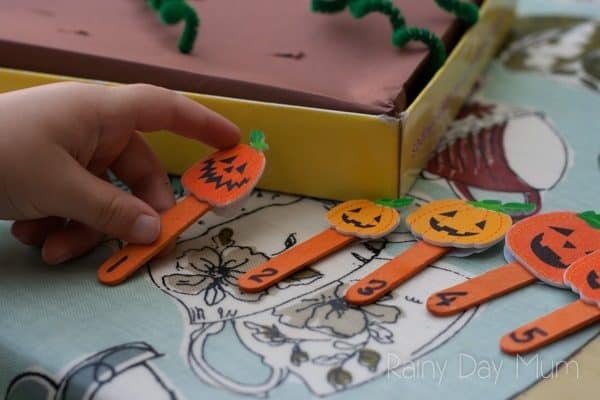 More Activities for 5 Little Pumpkins to extend reading this book further. 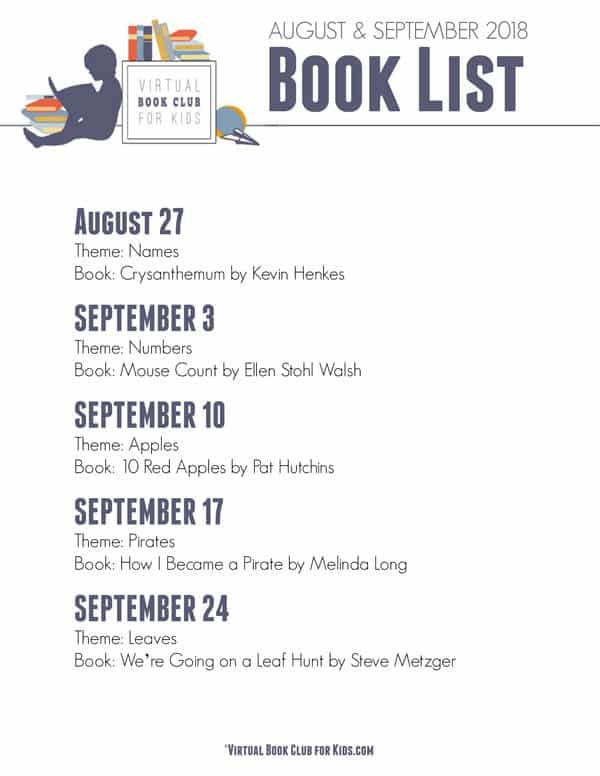 Each week I will be sharing other activities created by the hosts of the Virtual Book Club for Kids specifically for the week’s featured book and theme. 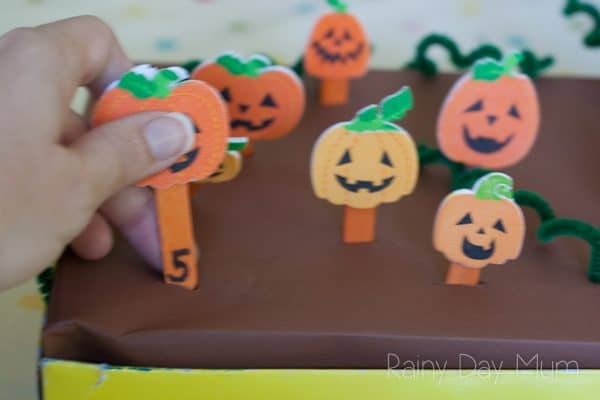 This week they are all based on 5 Little Pumpkins.